WHAT CHARACTER TRAIT YOU WOULD MOST DESIRE IN POLITICIANS….. I asked some people recently, “If you could choose one character trait you would most desire in politicians what would that be?” I got a number of different answers and I’m sure that if I polled my friends list and social media I would get a wide array of character traits. Let me give you some that I was given and my response to them. LISTED NOT NECESSARILY IN ORDER OR IMPORTANCE…. I was told that ‘honesty’ is the most important quality in a political figure. But to take Bill Clinton’s approach to definitions what does honesty mean? When it comes to right and wrong it is incredibly important but even then differing moral ideals might render the definition of what is ‘honest’ differently. When it comes to speaking what one believes, honesty is important but some despots throughout history were honesty in describing what they desire/desired to do. Hamas is ‘honest’ in their declaration they want to obliterate Israel from the face of the earth but is that being honest in the sense of a quality you desire in someone? I was told that ‘being transparent’ was critical for a political candidate so the voters could know exactly what they were getting. Again if by ‘transparent’ we mean never obstructing investigations and being brutally honest and truthful about what has happened or is happening, that would or could be a good thing. If we mean being ‘transparent’ as Hitler became transparent in his desire to eliminate the Jews and build a Super Race while becoming dictator of the world if that is the transparency it is not a valued quality. While I desire that those elected to high office know God and have the moral fiber that should accompany Christianity the interpretation of what being a ‘Christian’ involves is so vastly different among many I’m not sure of the value that distinction would afford with regard to elected office. I am a Christian and not ashamed to acknowledge it but we’ve had people who claimed to be and maybe are Christians who have been terrible leaders. I had one person declare that only a ‘patriot’ should be elected to office and on some levels I would agree but again what do we mean when we say PATRIOT? I know what I mean but what I mean and what someone like Barack Obama means are worlds apart so while I want the leaders to be patriots I would need to quality the definition for it to be my ONE CHARACTER TRAIT I would have if I could choose it. As I gave this some thought I realized that it would be almost impossible to desire only ‘one’ character trait. 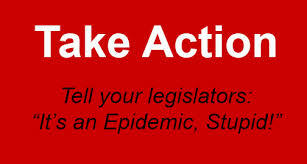 I want the elected officials to be honest, transparent, patriots, and men/women of character. I would like for them to be Christian under my definition and won’t get into that. I want them to be lovers of America, Freedom, the Rule of Law, and defenders of the Constitution of the United States of America. I want them to be for Limited Government, Reduced Spending, Less Taxes, and Sensible Regulations. I am not a ‘no government’ person but a ‘limited government’ one. So what one character trait, if I could only choose, would I place at the top of my list? 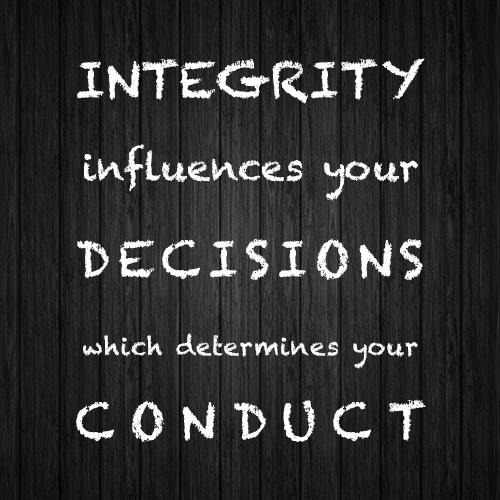 I would have to say INTEGRITY for this little noun carries a wealth of meaning all of which I would desire in a candidate and believe would propel them into the others that I heard. 1. 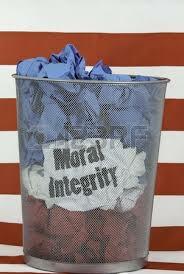 The quality of being honest and having strong moral principles; moral uprightness. Synonyms: Honesty, probity, rectitude, honor, good character, principles, ethics, morals, righteousness, morality, virtue, decency, fairness, scrupulousness, sincerity, truthfulness, trustworthiness. 2. The State of being whole and undivided. Synonyms: Unity, unification, coherence, cohesion, togetherness, solidarity. If I could instill in the heart and core being of a political candidate any one thing it would be INTEGRITY for in it I believe I would find the other qualities desired springing from the roots of that characteristic. 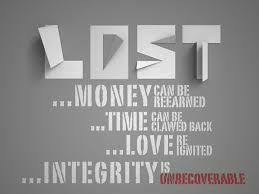 Sadly, I do not see many, if any, political candidates who demonstrate INTEGRITY and that saddens my heart. 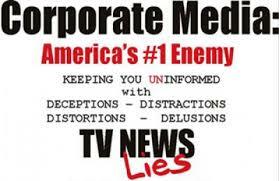 THE GAMES THE MAIN STREAM MEDIA PLAYS…. I have been wondering when it would happen and it seems that it is happening over two years before the 2016 elections. The liberal media are showing signs of turning on their Boy Wonder in the White House for their prohibitive favorite candidate Girl Wonder Clinton. They know that with her baggage she would find it difficult to win election if she was to run just as a Democrat. No, Hillary has to run ‘against’ Barack Obama’s record on many fronts to enable her to dupe people into voting for her and in so doing will strip the Establishment Republicans of Obama’s record as a political weapon. 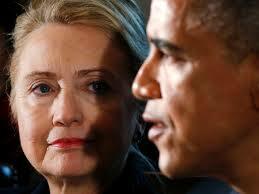 Hillary, with the help of the media, will be in a position to declare when the Republicans bring up Obama’s record that she will govern vastly different and highlight his bad policies. The problem is that many of them she not only supported but wanted to go even further when she and Libido Bill occupied the White House. 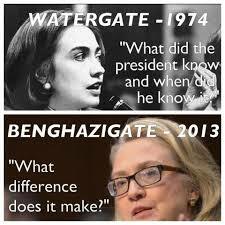 The media will make Benghazi a non-topic, the Democrats will rally around that and any mention of it will result in immediate vilification as being sexist and ancient history. It will be, “What difference does that make now?” I see the machinery working now, the strategy sessions forming, and that man at her side who is one of the most astute politicians in modern history Bill Clinton working the game, spinning the spin, raking in the dollars, and rousing the troops. It is of great concern to me. The only way to head this off is to nominate an articulate truly constitutional conservative who can challenge her claims, remind voters of her past failures, highlight her shortcomings, and refuse to be backed into a corner. That person must be a statesman/woman who like Ronald Reagan manifests enough charisma, is articulate, and disciplined enough to stay on message. The Senate, House, and White House are still winnable but it will take a shift in the power within the Republican Party to accomplish it. If the Karl Rove’s remain in control, the John McCain’s, Chris Christie’s, Jeb Bush’s, and that crowd remain in the driver’s seat we will see another milk toast candidate that will get waxed in 2016 no matter how bad Obama’s poll numbers are. The media has long ceased to ‘report news’ and has been ‘creating news’ for a long time and that will not likely change in the next two years. The love fest they had for and with Obama will be transferred to Hillary and Obama will become as outdated as last year’s fashions. I don’t know how this is going to play out for people like Al Sharpton, Jesse Jackson, and those of that ilk and could cause a rift that divides the party but not likely. I truly believe that the Democrats will become more energized in the next few months and by the time 2016 arrives they will be tuned into what the media is selling, drinking the Kool-Aid, and believing the fear mongering that the Republicans are going to return blacks to slavery, women to being barefooted and pregnant without the right to vote, and things of that nature. It will be lies, lies, and more lies but what would be new about that? I am praying that God move on the heart of a candidate that all factions of the Republican Party, Conservatives, Constitutionalist, and even Libertarians can view as a supportable candidate. I pray that the person garner enough grassroots support that the Ruling Class Elitist of the Party dethroned. I pray that the person demonstrate integrity, have enough oratorical ability to communicate the message of America, and disciplined enough to stay on point. I am praying for America and believe that if Hillary or any Democrat wins election as President in 2016 America as we know it is finished and may be anyway. Therefore I cannot let up for one minute and must pray, speak, write, give, and work to see our Constitutional Republic restored and the Elitist Oligarchy demolished. May God guard and guide you and may He bless America again! THERE IS AN EPIDEMIC IN AMERICA…..
Comedian Ron White’s infamous routine ‘You Can’t Fix Stupid’ is a statement that I have thought about many times in my life. Why would I spend time on this matter? Simply because it seems that we have an ‘Epidemic of Stupid’ in America and it is spreading faster than anything I have ever witnessed. It is a problem that needs a cure, but is there a cure? I recall, as a teenager saying something was ‘stupid’ and that you could not do anything to prevent stupidity. My dad challenged me and said, “Boy if you learn you can fix it.” I knew better than to challenge my father but I did not buy that simply because even as a teenager I had come to grips with the fact that some people were very knowledgeable and informed but were still STUPID. 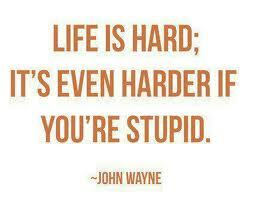 I had come to realize that STUPID was not dependent upon education or information it was the result of attitude. I have watched people do stupid things because of their attitude. I have watched people do things that put them in harm’s way because someone told them they could not do it and believing their own invincibility thought they could prove the nay-sayers wrong. NOPE and as Bill Engvall would say, ‘Here’s Your Sign.’ I have observed people do what Albert Einstein said was the definition of Insanity. They kept doing the same thing over and over hoping for a different result. Even when they had knowledge that what they were doing had little or no chance of working and had failed miserably numerous times they still tried. If that is not a picture of S T U P I D what is? 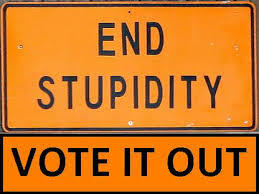 When it comes to the voting public, the only hope we have of ‘Fixin’ Stupid’ is information coupled with experience. Unless and until the voting public personally experiences the disastrous policies of the federal government significantly and until we find someone who can speak rationally and articulately as to what is happening, why it is happening, and how it may be reversed they will remain S T U P I D. Although highly educated and having vast knowledge of many things, yet continuing to vote politicians into office and back into office that are damaging this nation qualifies as stupid in my book. When it comes to politicians I have little hope that they will ever recover from the epidemic of stupidity that has permeated the Halls of Congress and the White House. They consider us stupid and we may well deserve that characterization because we allow them to wiggle off the hook of responsibility and accountability. It seems that once elected they go through the Congressional or Political ‘Sheep Dip’ of Accountability Teflon which prevents anything from sticking to them. The only reason that works is because we have not RISEN UP and DEMANDED something different to such a degree that it is unmistakable to them. If I could somehow form a coalition of the left and right and throw the bums out just one time they would listen the next time. However that would be an exercise in futility and would probably even qualify as STUPID because the core values of the left and right are so diametrically opposite that each side would want the upper hand and the coalition would be at best shifting sand. There would be concessions, compromises, and treachery involved and we would end up with something no better and possibly worse as a result so I toss that idea aside. 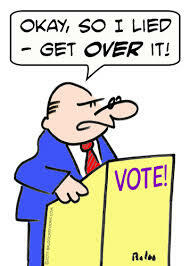 But, I will not give up on my desire to see ‘Citizen Representatives’ elected to Congress. 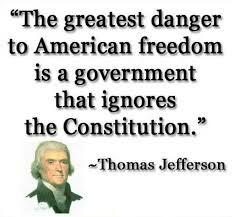 I will not abdicate my pursuit of a restoration to a functional ‘Constitutional Republic’ in America. I will not cease to pray for my nation, our leaders, and citizenry for our hearts to be touched by the ‘core values’ and ‘principles’ upon which our Constitution was established and we RETURN leaving STUPID behind. Will it happen in my lifetime? I wish I knew. Will happen? I wish I knew. Is it worth fighting for and giving all for? ABSOLUTELY! So as you continue your pursuit of Life, Liberty, and Happiness I urge you to stay informed, stay engaged, and keep the faith. ANARCHY IS COMING TO A STREET NEAR YOU….. The Bible says in Joel 2:28 that in the last days God would pour out His Spirit and the result would be that ‘old men’ would dream dreams and ‘young men’ would see visions. Joel’s prophesy repeated in Acts 2:17 and although you may completely disregard biblical references concerning the times and your theological beliefs regarding dreams and visions cause you to dismiss any such testimony. I do not know what you believe but I know over 16 years ago I experienced what can only be described as a vision concerning America and the coming chaos in our streets. I won’t get into that right now but want to address what I believe is THE COMING ANARCHY. The etymology of ‘anarchy’ is interesting. ‘An’ signifies ‘without’ and ‘arkhe’ means ‘ruler or kingdom’ so together we have the word that means ‘without rulers’. 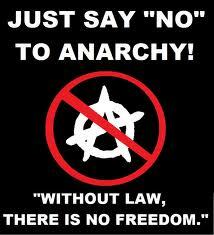 I believe that we are rapidly heading toward ANARCHY in American cities and soon. The LAWLESSNESS of this administration, the DOJ, NSA, IRS, EPA, and an almost endless litany of governmental agencies viewed by the baser elements of society and some that are not so base as an ‘open invitation’ and a ‘reason’ to disregard the Law, the Constitution, and become LAWS UNTO THEMSELVES. 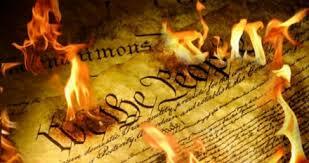 Mr. Obama’s ‘pen and phone’ assault on the Constitution and the erasing of our borders is providing a breeding ground for TOTAL ANARCHY. Why would people who come to America ILLEGALLY on the open invitation of this administration in violation to the existing laws care about the law? If the President, the DOJ, Homeland Security, and others do not regard the Law, follow or respect it why should they? If the American Constitution is so disregarded as to allow the free flow of traffic of ILLEGALS without penalty why should it be viewed as anything important? It is not just the ILLEGALS that will cause ANARCHY but their insertion into the mix will help precipitate it and move it along much faster. When these ILLEGALS become such a drain on our American economy and begin to erode the almost endless dollars for entitlements those now receiving the government dole will become angry like never before. They will view the demonstrated lawlessness of this administration as an open invitation to ‘do whatever you please’ and their sense of ‘entitlement’ will propel them into a false idea that they ‘have a right’ to what you have. They believe it is their right to have your possessions and if you refuse they will feel completely justified in ‘taking it by force’. The President would never admit that is where his policies are taking us but they are. When the condition exists that cartels, gang members, terrorist, and average citizens openly ignore the Constitution and Laws provides a ready-made CAULDRON containing CHAOS and ANARCHY. I predict it is coming and part of me fully believes that this is the objective of this administration and president. It will plunge our nation into such chaos that he and his ilk will be able to take dictatorial authority, suspend the constitution, and demand total control in the name of restoring order. In this scenario there will be many who agree failing to realize that by allowing this rogue government to destroy our national sovereignty, erase our borders, ignore our constitution, and thumb their noses at our laws is dooming America the Land of the Free and Home of the Brave. Mr. Franklin’s statement that could be a question will be answered, “A Republic if you can keep it.” Can we keep it? We are the only ones who can answer that and at the present rate of decline and disinterest by the populace my answer would be NO! I pray that I am wrong but I know what I saw in the vision and see chaos and war in the streets of America. Some will drop me like a hot potato for this post and others will relegate me to the ‘kook’, ‘conspiracy theorist’ corner, a few will just ‘shake their heads’, but a precious few will hear me and it will resonate with them. Those are the hope for America! I continue to call for legal, civil, and peaceful resistance to what is happening to America. We must get the attention of the legislators and the public and be willing to stand firm for the Republic called the United States of America. I believe there is hope and yet I know that it will take a miracle to turn the tide. It will possibly take divine intervention and certainly a change in the mindset of people on both sides of the political spectrum. Tell me you are not political if you please but you will be when your Liberty and Freedom is totally stripped from you but then it will be too late. Politics and Faith are not oil and water they are LIFE. May God help us and somehow save America. May He bless you and may He bless America again!